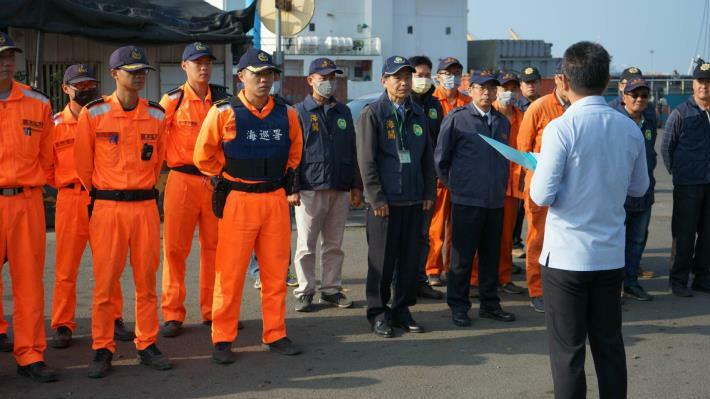 In order to reinforce efforts against smuggling activities, Kaohsiung Customs, in cooperation with Coast Patrol Corps 5, the Southern Branch of the Coast Guard Administration, Kaohsiung Reconnaissance Brigade as part of the Investigation Branch, and Kaohsiung Harbor Police Department, performed a joint investigation at Kaohsiung Port on January 22, 2019, clearly demonstrating a determination to impede illegal activities. African Swine Fever (ASF) has been spreading rapidly in Mainland China recently. According to the Council of Agriculture, being an acute, malignant infectious disease among hogs, ASF can cause a 100% mortality rate among infected animals. Though Taiwan remains uninfected so far, the disease will definitely inflict significant damage to the domestic livestock industry if it invades the country. As no vaccine or treatment is currently available for the virus, the only effective way to fight against it is by preventing it from crossing the border. In light of these circumstances, Kaohsiung Customs and the investigative groups performed reinforced inspections at No. 16, 17, 18 and 21 wharves, targeting bulk cargo vessels sailing to and fro between Kinmen and Kaohsiung. The inspections were intended to disrupt any illicit activities undertaken by unscrupulous vendors, who might have declared false information to customs or concealed uninspected products in containers which had been declared as empty, trying to make a fortune by selling the products in the domestic market. The joint action could not only deter illegal activities, but also protect the security of domestic industry. Kaohsiung Customs also encourages the public to report any illicit or suspicious activities without hesitation by calling the toll free number 0800-711117.